I haven’t been to see a movie by myself in many years, but today I slipped into the 12:25 all alone. I wanted to see Crazy Heart with the person I am when I’m by myself. I suspected the movie would pull that person out, and when she fully emerges, I usually feel very alone anyway. It’s not a bad thing. It just is. So me and myself bought our ticket, got the popcorn, and found a seat. You must have heard by now that Jeff Bridges is on the short list to win best actor for this gig. After seeing Crazy Heart, my bet is that he’ll win. It’s not the kind of movie that everyone will fall in love with, but it was the kind of performance that held up a mirror … at least for me. As I watched, I wondered (in a deep way) why Bad Blake was bad and what this was meant to tell the folks looking into the Jeff Bridges mirror. How did he get that way? Why did he have to be that way? The truth is, he wasn’t bad. He was human, and he just happened to be highly creative–a deeply sensitive soul with strong convictions that were most likely mismatched with many of the particulars that make up the typical life. Many of us put a lot of effort into numbing ourselves. Bad’s elixir was alcohol. It’s tough to feel so much, to have so much to express. And in times when there’s no outlet, it can become unbearable. Sometimes when feeling desperate or overwhelmed, there’s an intense urge to take an action, regardless of circumstances. The numbing helps with that. Sure, lots of folks choose alcohol or other drugs. But there are many more surprising devices that also work: jobs, religion, family. Just about anything you can completely bury your self under can do the trick. At the start of the movie, Bad Blake was busy wallowing in some creative disappointments he’d had. Sure, he was still out there doing his thing but he wasn’t all there. Rather than creating new work, he was replaying the old. Isn’t that how it always happens? Certainly in movies it is. I thought hard about how this gritty lonely, disappointed musician and a soft, sensitive single-mom-writer could fall in love so quickly. Well … it was a movie, after all. Duh! But wait, that happens in real life, too. At least it does to people like me. There are all kinds of real love, and they’re all good. They’re all right. But sometimes we stumble upon someone who steps out of the blue and gives us a profound SNAP! Often these snap-out-of-it-connections are extremely intense, and the people involved must eventually part ways for some reason or another. Perhaps these connections are good for us in the moment, orchestrated by unknown forces we’ve yet to understand. Maybe the intensity needed to make that snap is simply too overwhelming for the long haul. As the movie continued, I wondered if creative people (“the real deal”) must always toss their cookies into toilets and numb away their demons to inevitably create? And how is that fair? I’ve tossed enough cookies for a lifetime. I don’t want to do that anymore. In the end, Bad Blake wasn’t tossing anything but a fantastic song. The music came back to him due to his ability to finally let himself feel something again. After that snap, he couldn’t go back. It gave him new courage to take a chance that peeking out of that numbass state might just have some positive outcomes if he was willing to accept the bad. Even in Bad’s badness, he held true to a certain mantra. Early in the movie, his new woman friend, a reporter, asked, “In today’s world, who is real country?” And I thought to myself, “Who is real art? Who is real writing?” To quote my mentor Bob Hogge, “There is true talent, and there is commercialized talent.” So where are the Bad Blakes of our time? Are they lying drunk on dirty couches in small hotel rooms; strolling multiple children around the mall too busy to feel; or sticking their heads so far into Bibles that they don’t have to accept responsibility for what they’ve been gifted, get off their asses, and contribute? In the end, each of us, whether creative or not, chooses who we will be to the world whether or not that matches with who we really are. I was happy to see Bad turn better. And the truth is that all cleaned up and shiny, he was still the same gifted person. You don’t always have to be bad to be good. I also went to the hair salon this morning. 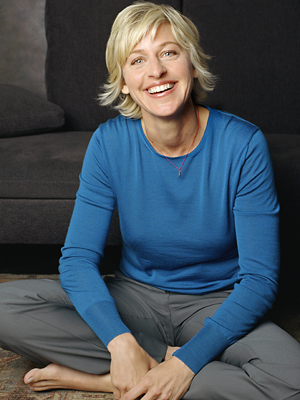 As my beautician was changing the colors in my hair, I came across a magazine quote by Ellen Degeneres. She said, “Be true to yourself and the rest will follow.” Everywhere Bad went, folks deeply respected him. However, he was often too numb to recognize their awe. This made me wonder if I give enough credit to those in my life who support me, who believe in my talents and abilities. Am I too quick to belittle the respect that’s close and all around because I’m too busy believing that the real respect has yet to arrive? Crazy Heart made me consider which is more important. With all this in mind, I’ve decided to add Bad Blake (even though he’s actually a fictional character) to my list of Aberration Nation honorary members. Jeff Bridges may not be as excited about his Aberration Nation award as he is with the golden ones but something tells me Bad Blake would accept with pride. Visit Jeff Bridges’ web site. See the sidebar for a full list of honorary members.